TRAVERSE CITY — A nursing and a culinary instructor were named the 2017 winners of NMC's annual Faculty Excellence awards at commencement ceremonies May 6. 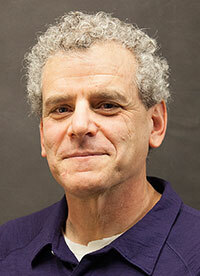 Nursing instructor Mac Beeker is the Imogene Wise Faculty Excellence Award winner. 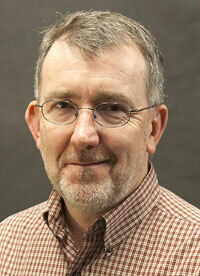 Culinary instructor Robert George is the Adjunct Faculty Excellence Award winner. Chosen by a student selection committee, criteria for both awards include teaching excellence, rapport with students, innovation in the classroom and a sense of dedication. Read more about Mac Beeker here. Both winners, coincidentally, are married to NMC employees. Beeker’s wife Mary Beeker is an NMC librarian. George’s wife Judy Chu is a communications faculty member. The Faculty Excellence award was initiated by a contribution from longtime NMC benefactors Harold and Imogene Wise in 1970 and first awarded to a full-time faculty member in 1971. The Adjunct Faculty Excellence Award was created in 1999 as a companion.